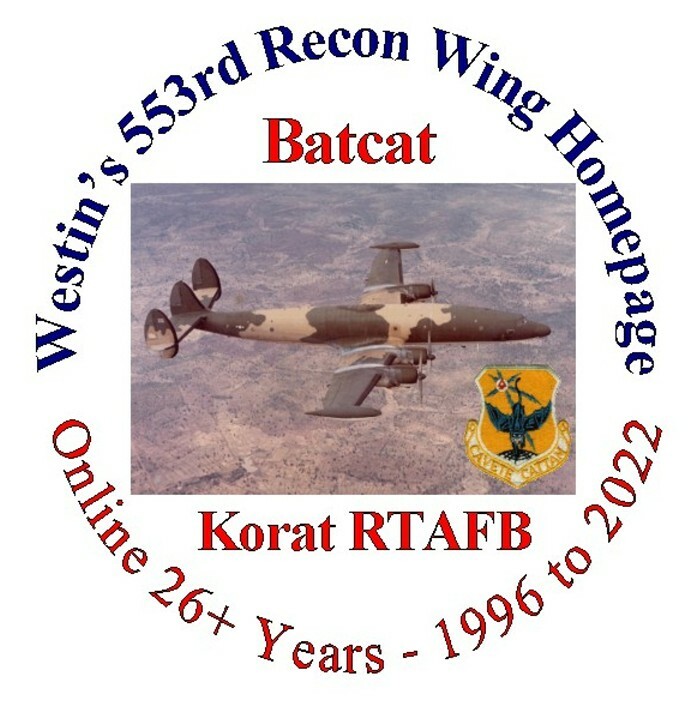 The Westin Family homepage features the Stinson 108 Voyager and Flying Station Wagon, and BATCAT the USAF 553rd Reconnaissance Wing. We originate from Tehachapi, California, U.S.A. - Tehachapi is located about 75 miles (122 Km) north of Los Angeles, California, United States of America. Homepage first started Oct. 1994, Last updated - April 11, 2019. WEBMASTER CONTACT INFORMATION - My wife and I completed the sale of our Maine home and we are now settling into our California home to be nearer our grand children. With this move the only valid email for webmaster Larry Westin is westin@westin553.net - several areas on my Batcat and Stinson pages show contact information for me. I'm in the process of updating those areas to show my new California contact information. Some pages may still show our previous, outdated Maine address, phone number and email. The only valid contact information for webmaster Larry Westin, 21721 Verde St., Tehachapi, California 93561, phone (661) 823-4707. 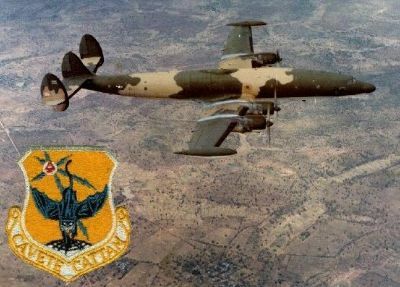 From Nov. 1968 to Sept. 1969, I flew as an air crewmember on Lockheed EC-121R aircraft, out of Korat Royal Thai Air Force Base. 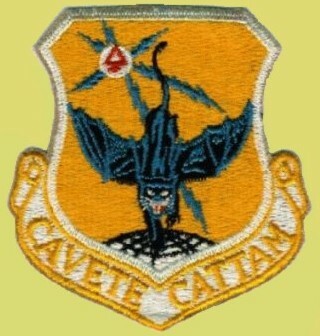 Official USAF unit designation was the 553rd Reconnaissance Wing, with the USAF code name Batcat. Click here for extensive information about the Stinson 108 Voyager and Flying Station Wagon plus other Stinson's including the models HW75, HW80, 105, 10 and 10A, O-49, YO-54, and the Stisnon model 76 L-5 Sentinel. I use a different server for the Stinson 108 data. Stinson area started Oct. 1994, Last updated 04/09/19. Images of Classic General Aviation Aircraft 1940 - 1965. Most of these are "period" or factory images taken during the quarter century between 1940 and 1965 known as the classic period of general aviation. Added 01/01/02, Last updated 03/24/19. Images of Consoldiated/ Convair/General Dynamics Aircraft. Available are images of the B-24 Liberator, C-87 Liberator Express, model 39 Liberator Liner, B-32 Dominator, B-36 Peacemeaker, WB-57F (Modified Canberra), XB-46, B-58 Hustler, YB-60Jet Peacemaker, BT-13 Valiant, XC-99 Transport version of the B-36, including images of the dismantling for restoration, model 118 Flying Car, F2Y-1 Seadart, L-5 Sentinel, L-13, PBY Catalina, PB2Y Coronado, T-29 Flying Classroom, Convair 240, 340 and 440, Convair 880 and 990. Most of these are "period" images, taken when the aircraft was new or in service, rather than museum examples. Added 01/03/97, Last updated 02/06/19. Images of Propeller Driven Transport Aircraft. Available here are images of various propeller driven transport aircraft. Included are the AVRO York, Armstrong Whitworth, Aviation Traders, Blackburn Beverley, Barkley-Grow, Beech 18, Boeing 307 Stratoliner, Boeing 314 Flying Boat, Boeing 377 Stratocruiser, Bristol 170 Freighter, Bristol Britannia, Convair XC-99, Canadair North Star, Convair 240, 340 and 440, Curtiss C-46 Commando, DeHavilland Dragon, Dominie, Dove, Douglas DC-1, DC-2, C-39, DST, DC-3, C-47, C-53 including cockpit and interior views, DC-4E, DC-4, DC-5, DC-6, DC-7, Douglas C-74 Globemaster I, C-124 Globemaster II, and C-133 Cargomaster, Fairchild C-119 Flying Boxcar and C-123 Provider, Focke-Wulf FW200, Grumman Widgeon, Grumman Goose, Gumman Albatross, Handley Page Hermes, HP Herald, HP Jetstream, Hawker Siddeley 748, Junkers, Lockheed Electra Jr., Lockheed Lodestar, Lockheed Constellation and Super Constellation, Lockheed Saturn, Lockheed Hercules, Lockheed Electra, Lockheed Constitution, Martin PBM3 Mariner, Martin 202 and 404, Northrop C-125 Raider, Percival Prince, Republic XR-12 Rainbow, SAAB Scandia, Short Belfast, Sikorsky S-51, S-55 and S-58 helicopters, Vickers Viking, Viscount, and Vanguard. Most of these are "period" images, taken when the aircraft was new or in service, rather than museum examples. Added 07/28/98, Last updated 04/09/19. Aviation Links to other aviation aviation sites on the Internet. Added 05/11/98, Last updated 02/08/19. Free Speech is a MOST IMPORTANT RIGHT - "THOSE WHO WOULD GIVE UP ESSENTIAL LIBERTY TO PURCHASE A LITTLE TEMPORARY SAFETY, DESERVE NEITHER LIBERTY NOR SAFETY." -- Benjamin Franklin, 1759 - My personal, rather conservative, thoughts on free speech are presented here. There is an email link at the end my short statement on free speech. Feel free to present a different opinion, I respect the right of others to have a different opinion. Last updated 06/25/00. interested in starting your own homepage check iPage for information. IMPORTANT there is nothing on my homepage you need to pay to view. the cost to you doesn't change.